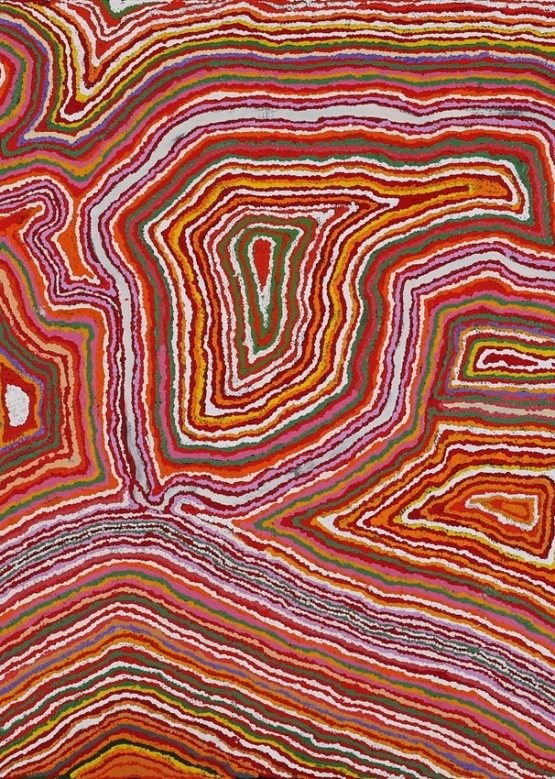 Our artists hail from across Australia, from Canberrans Ham Darroch and Derek O’Connor, with their celebrated contributions to contemporary abstract art, to Mary Meribida and Margaret Baragurra from Bidyadanga on the Kimberley coast, whose art transmits something of the vibrancy of nature and of life there. Located in between these far-apart places are a select group working out of the APY Lands in South Australia. 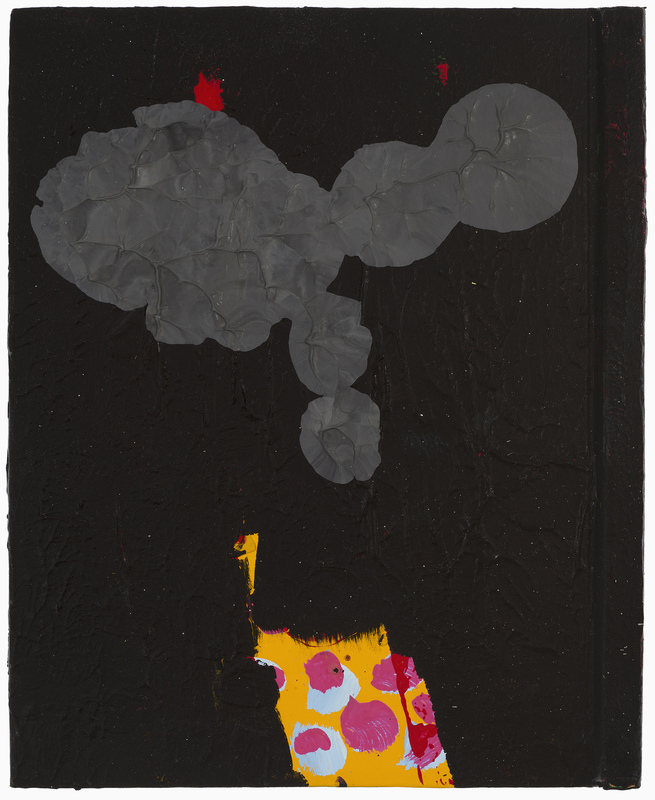 It is from here that Jimmy Donegan brings us his richly layered desertscapes and Samuel Miller his visually dazzling counterparts, which are complimented by the striking avian artworks of Nyanu Watson and the stunning site-specific paintings of Monica Putjina Watson. One of Twelve partners with established and respected community owned art centres across Australia and our region, to ensure that artists receive proper value for their work, and that our customers receive the highest quality products in return. Celebrating and supporting artists is at the heart of what we do. We believe their artworks have the capacity to make our daily lives richer, while contributing to the cultures of communities and nations throughout our region. It is an honour to be able to work with such a talented group of people. 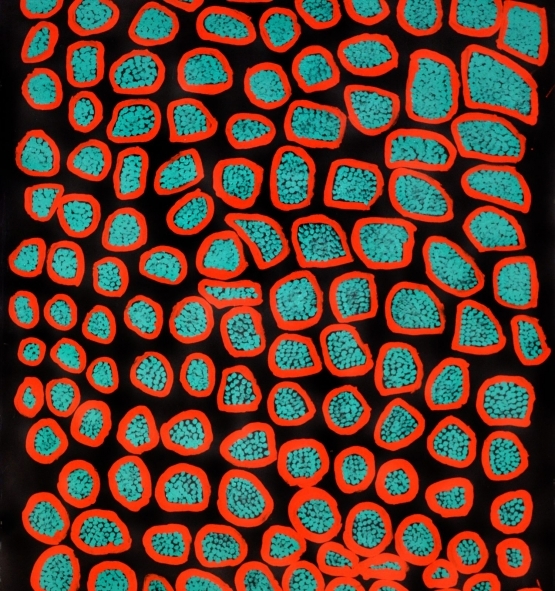 Canberra-based contemporary artist Ham Darroch works in sculpture, performance and drawing. 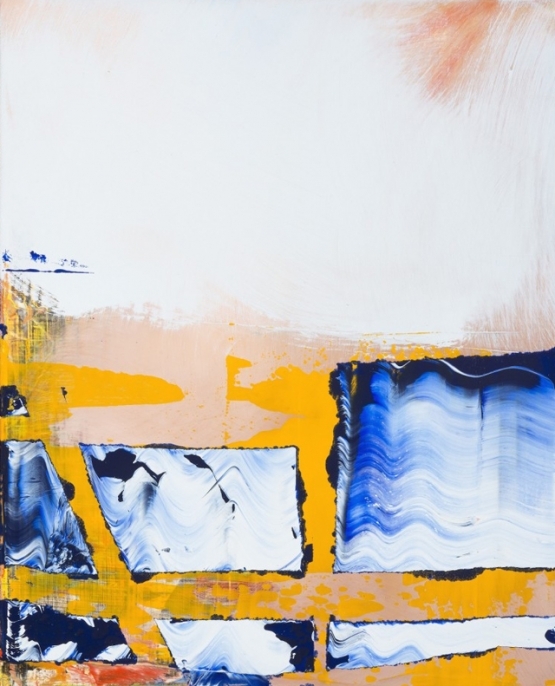 His artistic practice draws on recognisable objects of both everyday life and of art history to create abstract works that, through careful referencing of shared histories and experiences, appear effortlessly comforting and familiar. 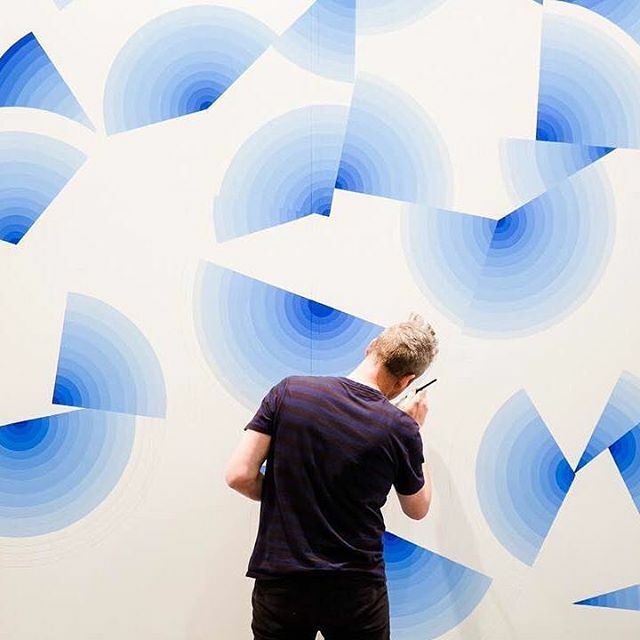 He studied at the Australian National University and University of New South Wales, and has subsequently worked as a studio assistant to the renowned British artist Bridget Riley. 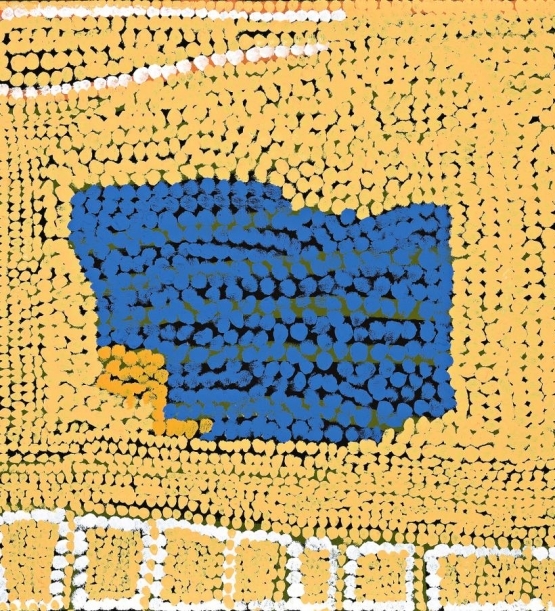 His works are held in numerous places including the Bundanon Trust collection, Brazilian Embassy, Bathurst Regional Art Gallery, Canberra Museum and Gallery, and private collections in Australia and the United Kingdom. Widespread admiration for his art continues to grow. In 2017, Ham won the Rosalie Gascoigne Memorial Award for contemporary art. Kunmana (Samuel) Miller was born at Ernabella mission in north-west South Australia. When his mother passed away, his father’s second wife and accomplished artist Molly Nampitjin Miller looked after him, influencing his art practice. He grew up in Amata and Pipalyatjara and now lives at Kalka in the Anangu Pitjantjatjara Yankunytjatjara (APY) lands with Molly and the rest of the family. 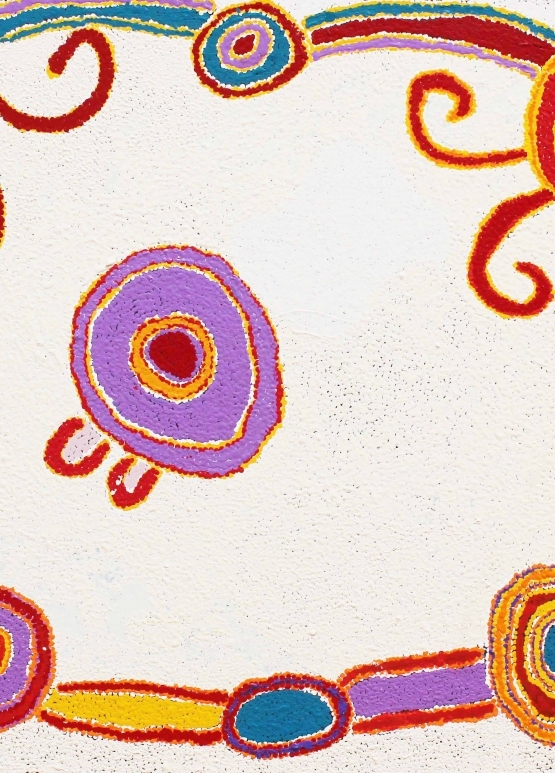 A Pipalytjara elder, Monica Putjina Watson was born in or around 1940 at the rockhole Pukara in Western Australia, an important site for the water snake Tjukurpa (dreaming story). 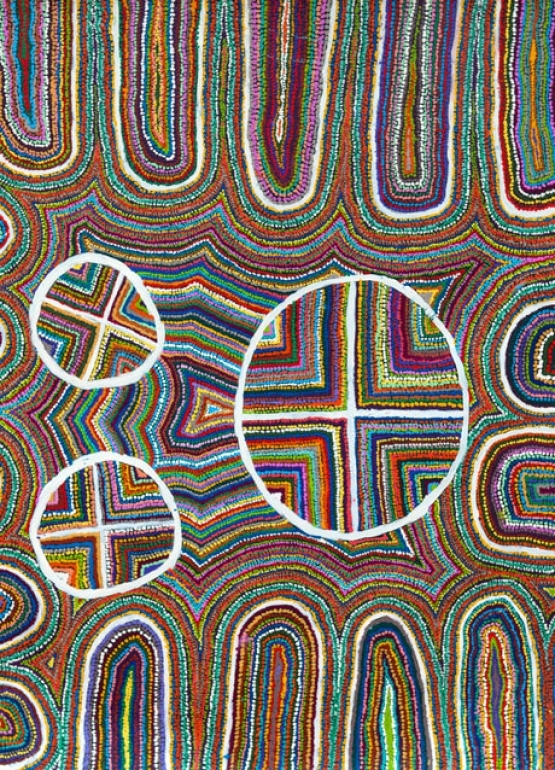 She left her birthplace with her family as a young girl and worked for a time in the crafts room at Ernabella Arts in Pukatja, South Australia. 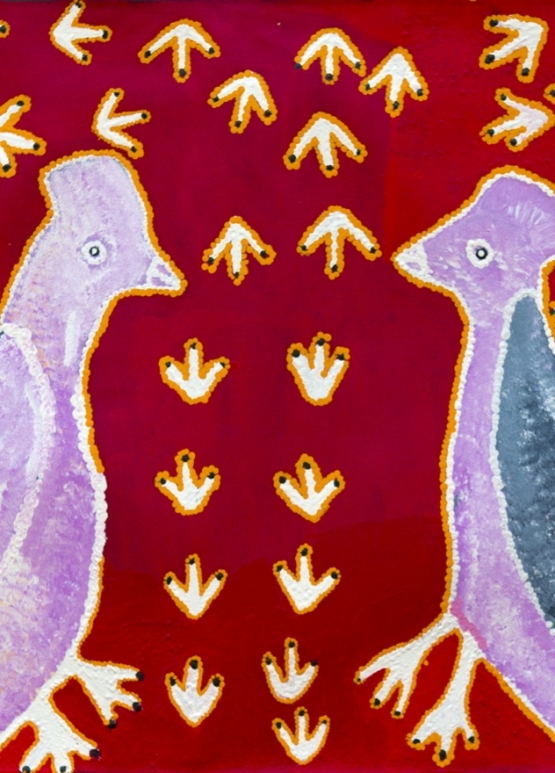 It was not until the homelands movement of the late 1970s, that the artist finally returned home with her husband and children. Monica now paints with Ninuku Arts and is known for her use of bright colours, especially yellow, and dynamic compositions. Her art is included in several national collections.